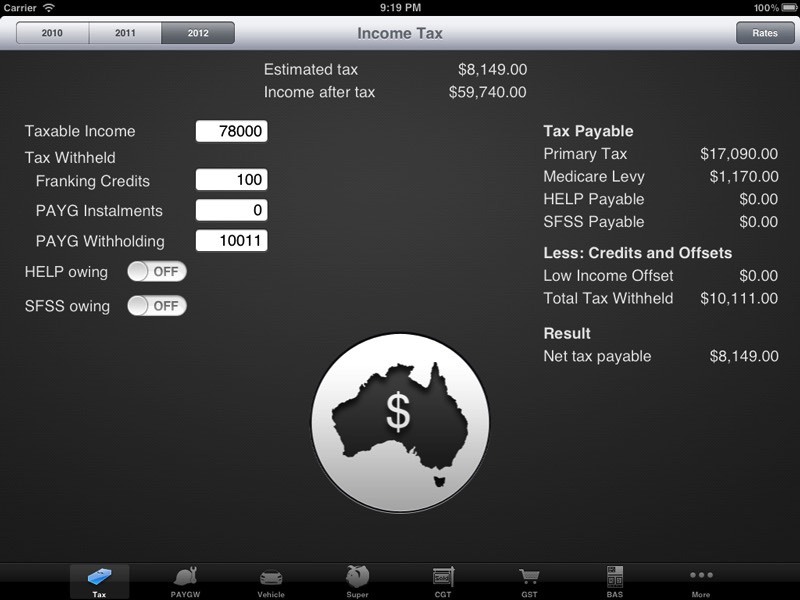 my Tax App for iPhone, iPad and Mac. 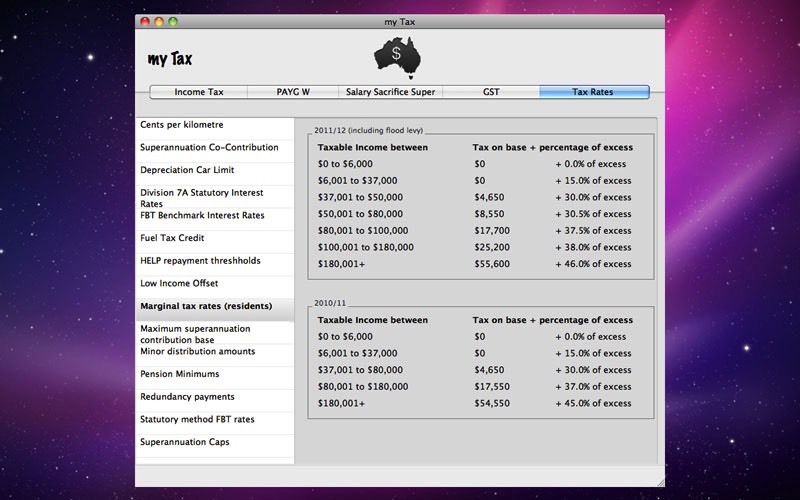 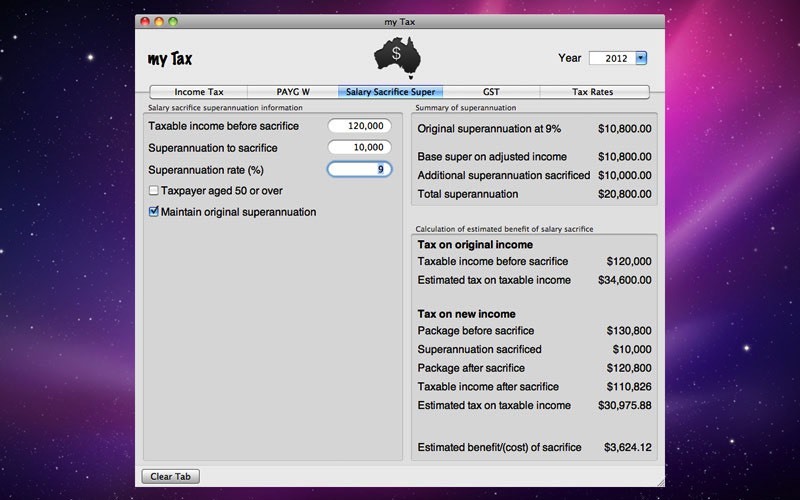 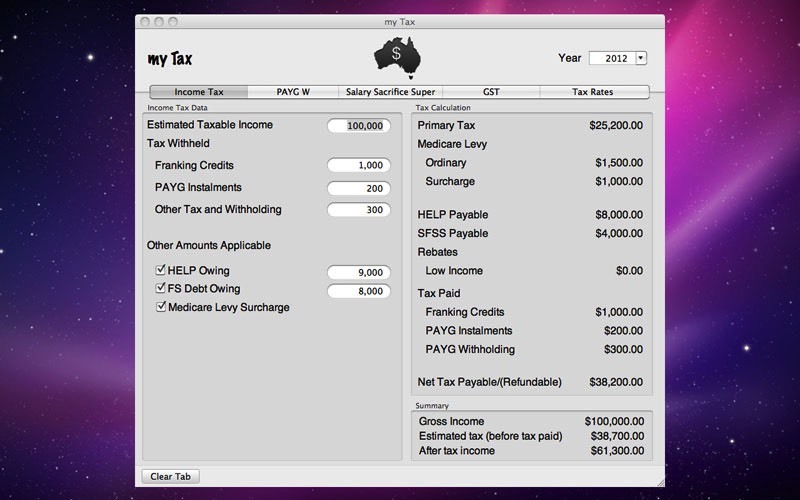 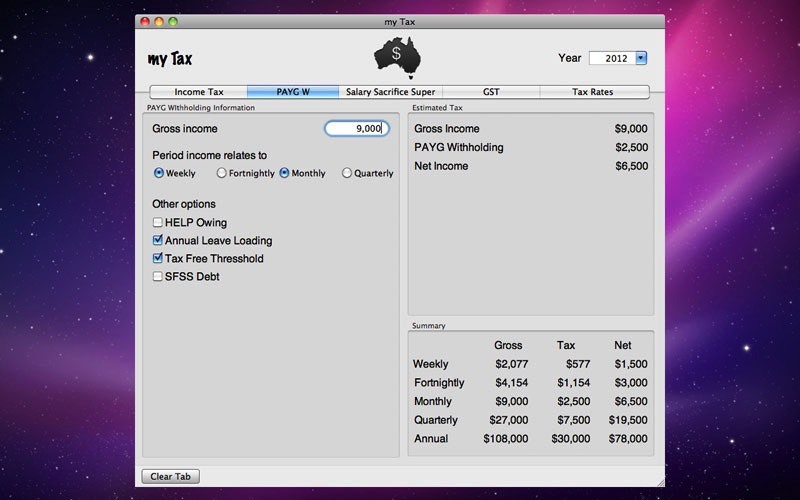 The comprehensive Australian tax calculator. 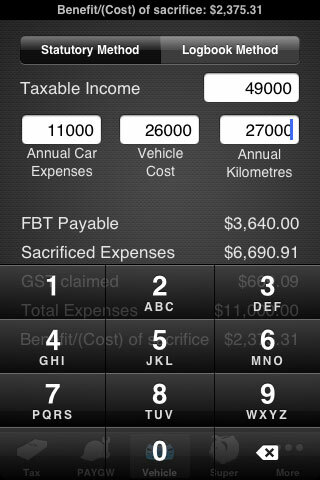 see the status bar change whilst typing to give a live calculation. 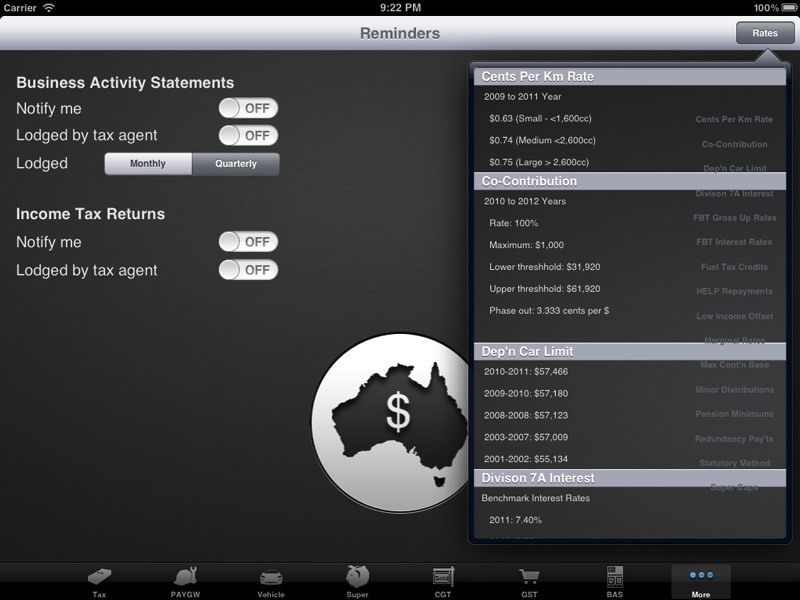 retina optimised for compatible iPhones and iPod Touches. 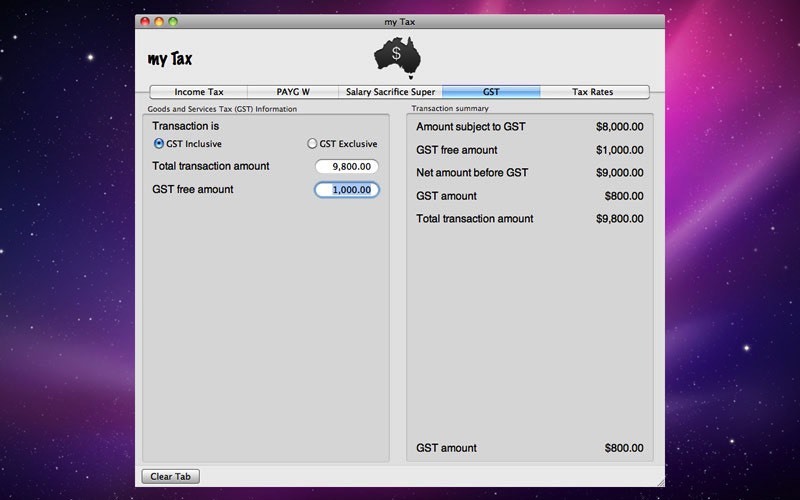 my Tax for Mac can run on Snow Leopard and Lion. 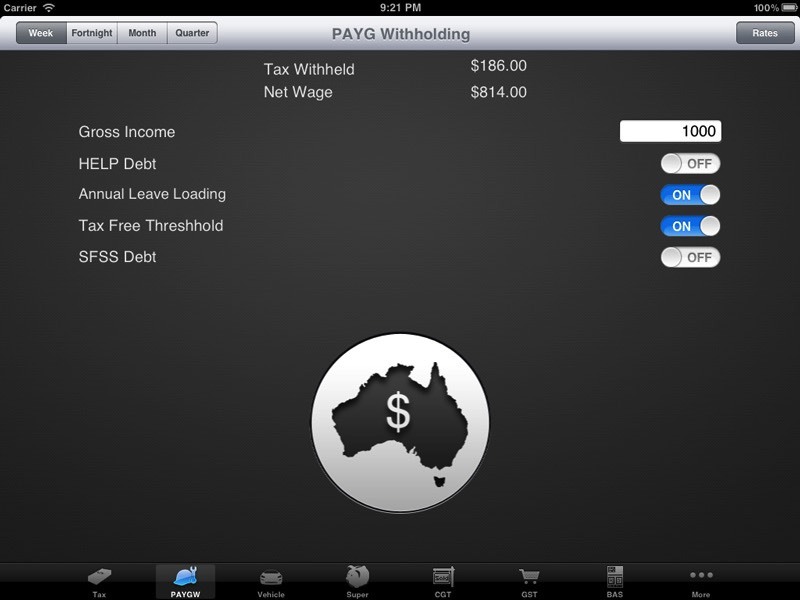 It is available exclusively through the App Store. 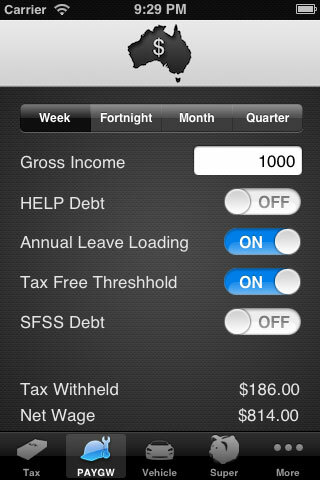 Quickly clear information with a button. 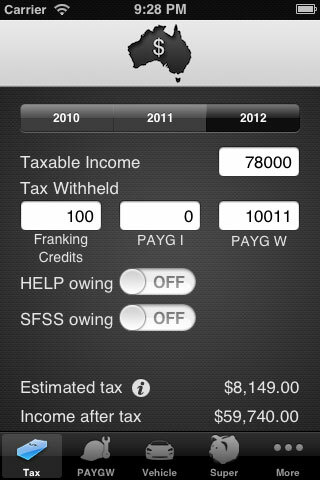 Perform calculations for multiple years.